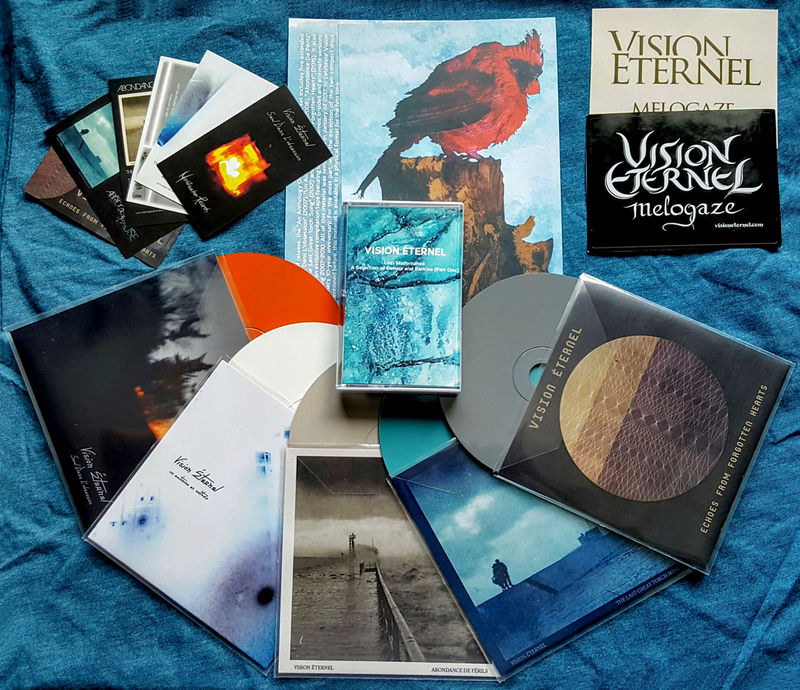 To celebrate the upcoming release of Vision Éternel‘s long-anticipated boxed set “An Anthology Of Past Misfortunes“, the band has partnered up with American webzine The Obelisk for a very special premiere and giveaway package. The collection is scheduled to be released in two days, on April 14th of 2018, through Canadian independent record label Abridged Pause Recordings. Today, The Obelisk is hosting the premiere. The Obelisk webzine has been given an exclusive stream to a previously unreleased studio outtake, “Love Within Narcosis (Demo)“. The song is otherwise solely available on the cassette compilation “Lost Misfortunes: A Selection Of Demos And Rarities (Part One)“, available in the boxed set. There is currently no plan to make the content of this tape digitally available to the public, so take advantage of The Obelisk’s high-quality audio stream! 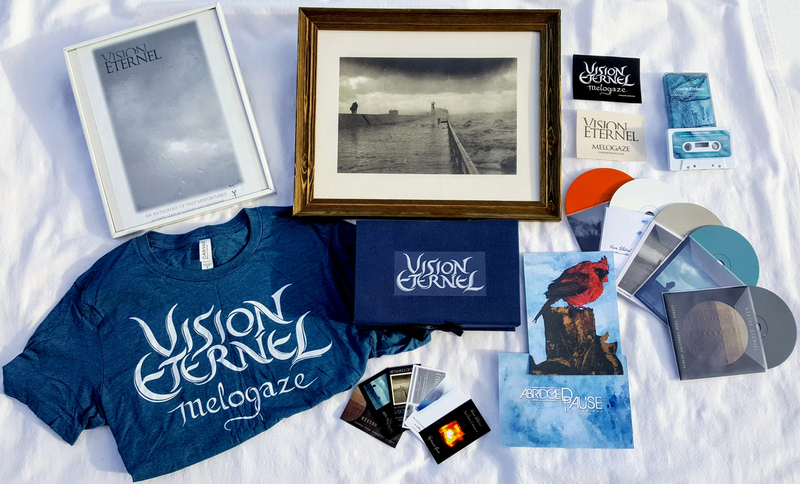 The biggest news yet is an impressive giveaway package sponsored by The Obelisk. 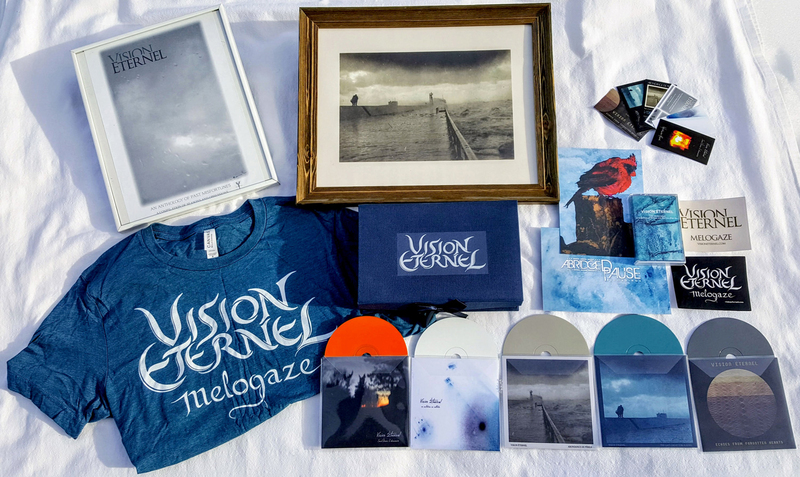 One lucky winner will not only receive a full boxed set, which in itself holds five compact discs, one cassette, two stickers, six business card flyers and a two-page postcard insert, but in addition to that two sold-out posters and a t-shirt. A total retail value of $120, including shipping to any location worldwide. The winner gets all of this for free! The five compact discs included in the boxed set are all five Vision Éternel extended plays released to date, covering 2007-2015: “Seul Dans L’obsession” (2007), “Un Automne En Solitude” (2008), “Abondance De Périls” (2010), “The Last Great Torch Song” (2012) and “Echoes From Forgotten Hearts” (2015). The cassette compilation, “Lost Misfortunes: A Selection Of Demos And Rarities (Part One)” features nineteen rare and unreleased b-sides, demos and alternate versions spanning 2007-2010. All of this audio content has been remastered and most of it appears in a physical format for the very first time! 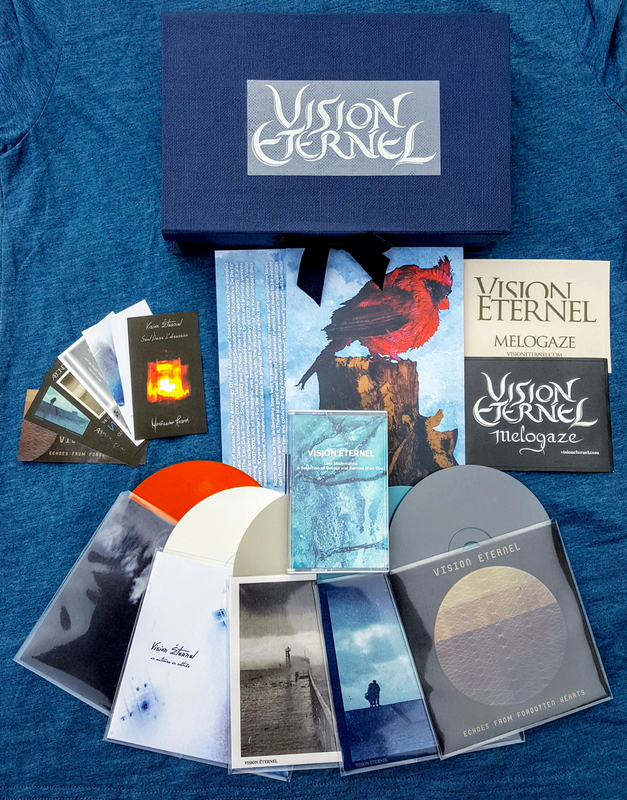 The boxed set also includes a handful of bonus material: business card-sized reproductions of the original promotional flyers for each of the five extended plays as well as the 2009 flyer for a Japanese-exclusive compilation; two stickers: one of the 2008 band logo designed by Jeremy Roux and another of the 2017 band logo designed by Christophe Szpajdel; and two postcards with original artwork by Rain Frances and Pierrette Bourdon backed by liner notes. The assortment is packaged in a deep blue keepsake box, limited and hand-numbered. 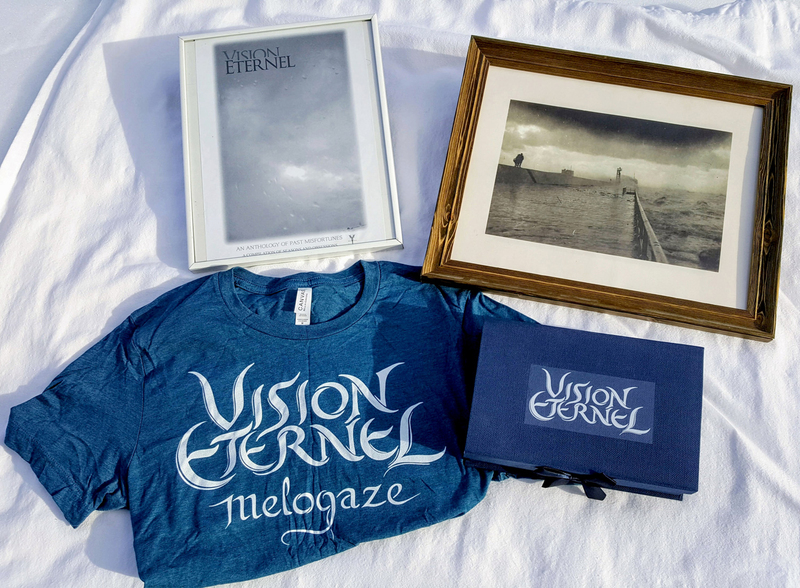 Additionally, the winner of this giveaway package will receive two out-of-print original posters taken from band-member Alexandre Julien’s personal archives. The first of these posters was designed by Alexandre Julien for Frozen Veins Records in 2009 and was sold exclusively in Japan with a compilation compact disc. The second poster was pressed in 2015 by Abridged Pause Recordings and features Marina Polak’s photography used for the band’s 2010 extended play “Abondance De Périls“. 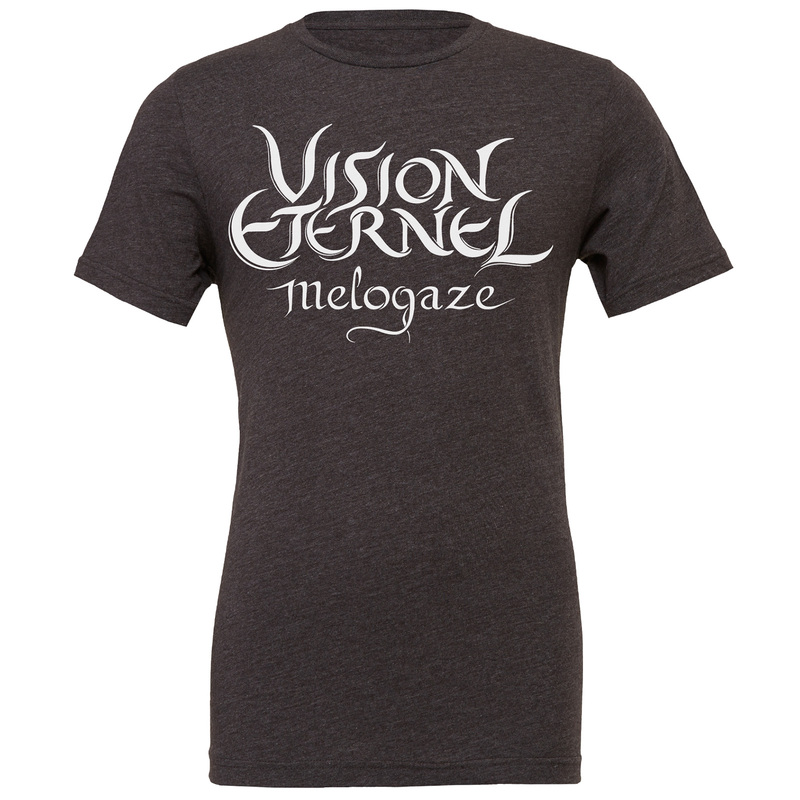 Furthermore, a 10-Year Anniversary t-shirt designed by world-renown illustrator Christophe Szpajdel is included. The winner has a choice of shirt size (Small, Medium, Large, Extra Large or Double Extra Large) and shirt colour (Solid Black, Solid Aqua, Heather Deep Teal, Heather Forest or Heather Dark Grey). 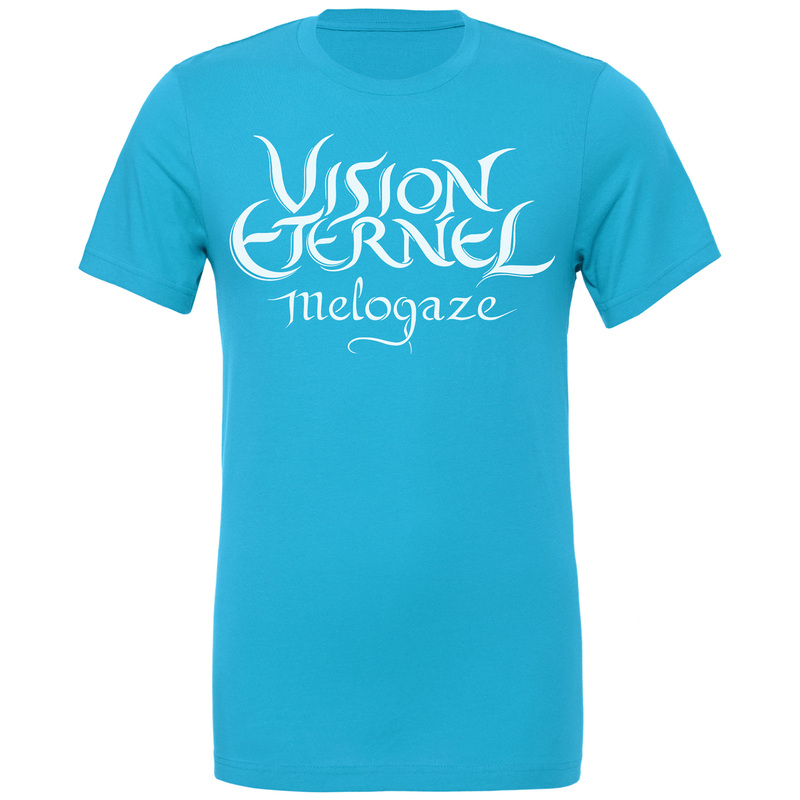 The choice of colours can be seen in detail on Vision Éternel’s Online Store. 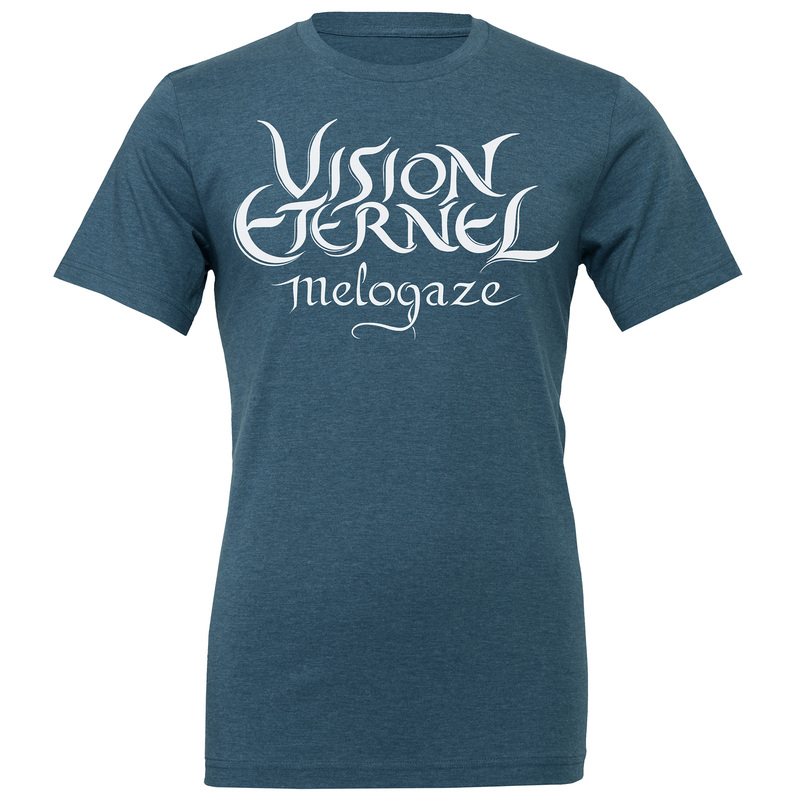 Last but not least, the winner will receive a complimentary discography download of Vision Éternel’s entire remastered catalog in high-quality audio of their choice (WAV, FLAC, AIFF, MP3, AAC, etc), to keep him or her company while the mail-order package arrives. 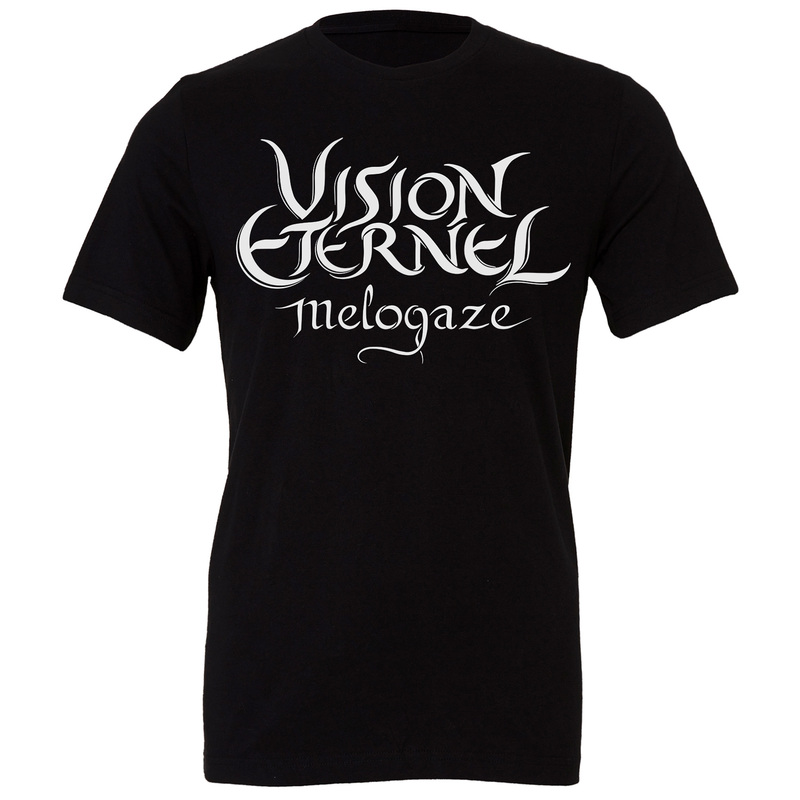 To enter Vision Éternel’s “An Anthology Of Past Misfortunes” boxed set package giveaway, simply send an email to contest@visioneternel.com, and let the band know your shirt size and shirt colour preference. It’s that easy! You will receive a confirmation email once you’ve been entered. The winner will be picked on May 14th of 2018 and he or she will be contacted via the same email used to enter the contest.